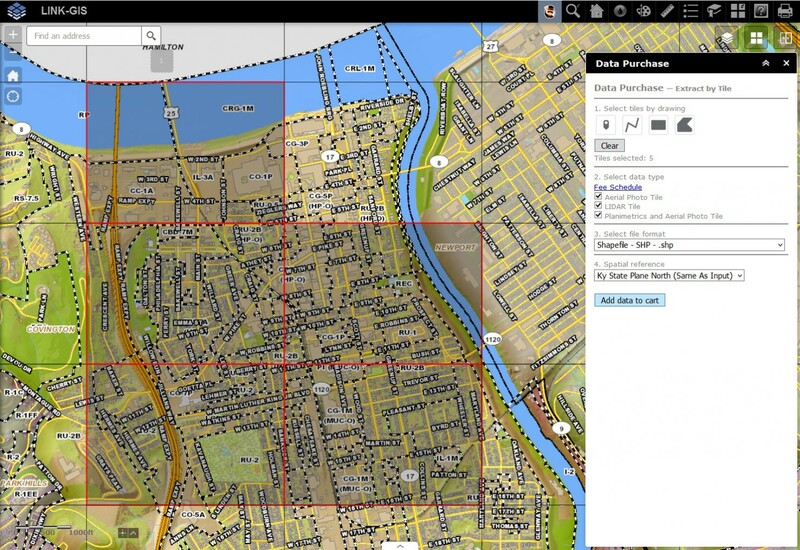 Purchase Aerial Photography, LiDAR and Planimetric data on a per tile basis. Use the Data Purchase map viewer to select the tiles of interest, then select which type of data to purchase and the format you would like the data in. Click here to begin. The Planimetric data includes Building Footprints*, City Boundaries, Hydrant, Hydrology, Manhole*, Parcels, Parks, Railroad, Recreation, Road (Edge of Pavement)*, Sewer Line, Street Centerlines, Topography, Water Main & Zoning. Click HERE to search for information about specific data types (e.g., Buildings, Centerlines, Parcels, etc. ).